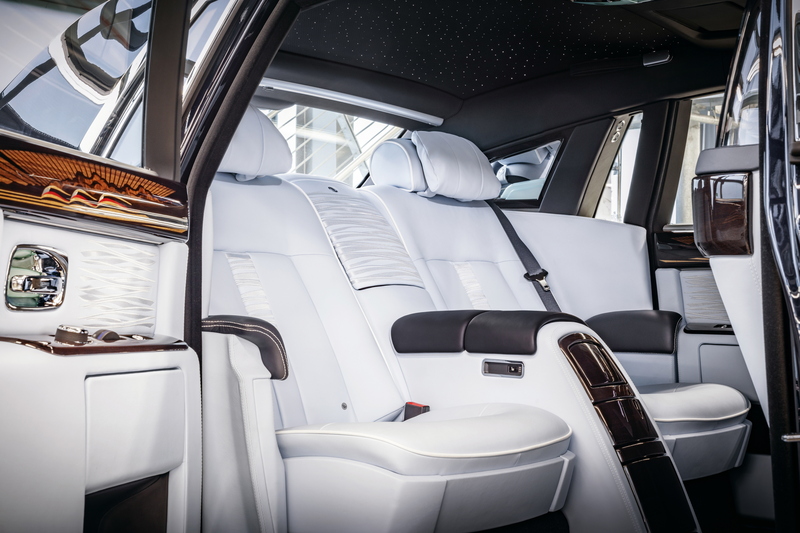 It’s been 13 years since the launch of the Rolls-Royce Phantom VII, the uber luxury chariot of the rich and famous that has led the great British brand’s revival under BMW ownership. Yes, 13! Ian Cameron’s design still looks as fresh today as it did back in 2003. The same can’t be said of the Nokia 3200. 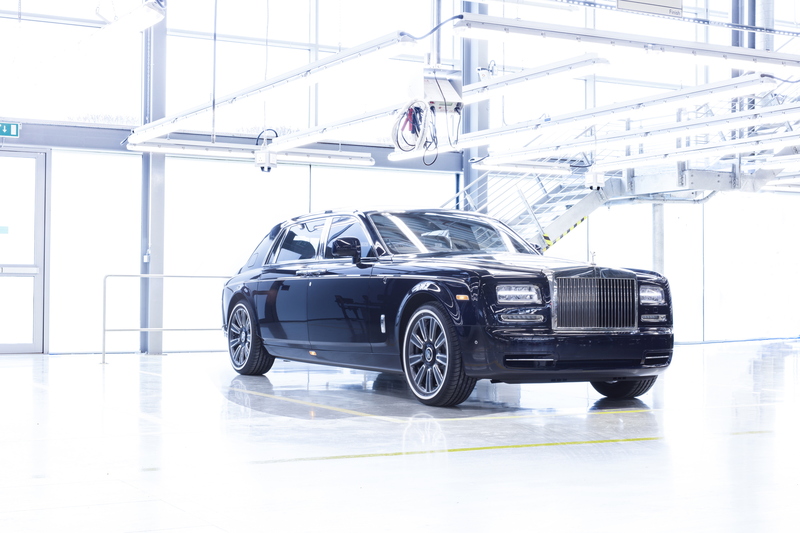 Now, in ever exuberant fashion, it is time to bid farewell to the imposing seventh generation Roller, with last Phantom VII making its way off the production line at The Drive, though not before it was immortalised in a few keepsake snaps. 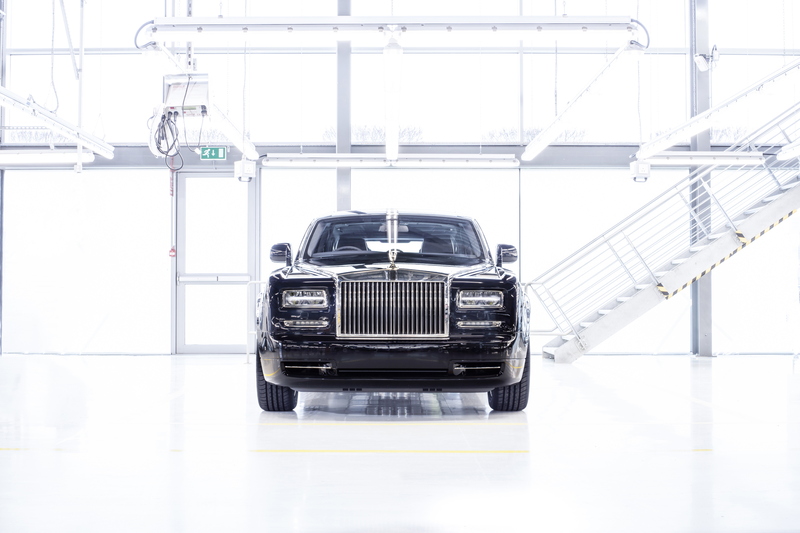 Commissioned by “a renowned contemporary Rolls-Royce collector”, the final RR Phantom VII – sitting on the firm’s extended limousine chassis – takes much of its aesthetic inspiration from the art deco ocean liners of the 1930s. 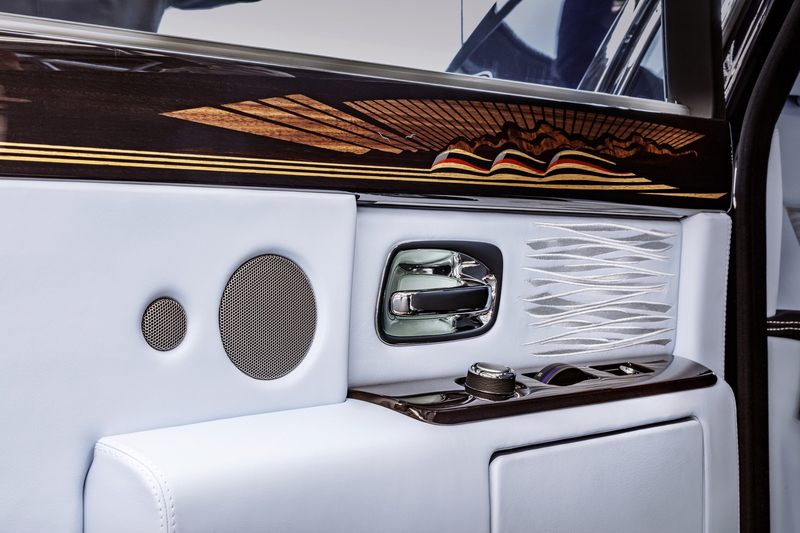 The Powder Blue leather upholstery features a tone-on-tone embroidery to mimic the movement of the sea while the exquisite wood veneers have been crafted using a technique called marquetry to depict a stylised ocean liner. 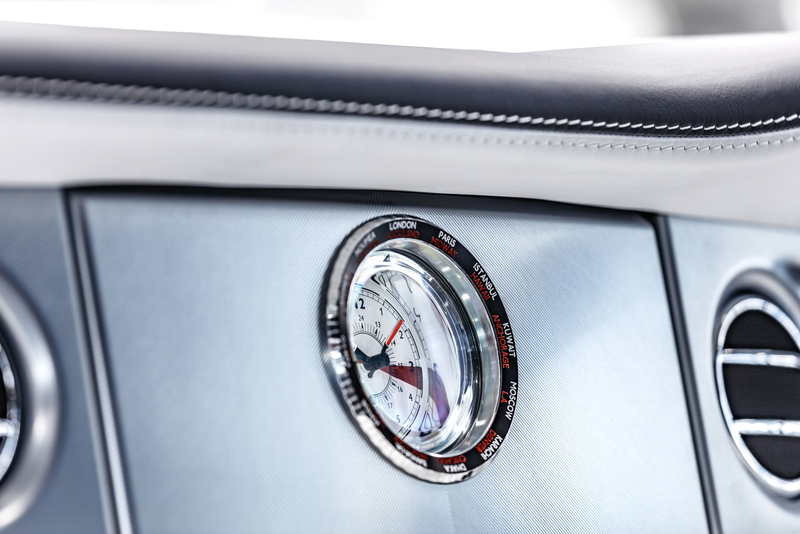 Every possible detail has been considered and lovingly reworked for this final Rolls-Royce Phantom VII, with the front and rear cabin clocks redesigned to feature external rotating bezels, allowing them to express the time in 24 different time zones. 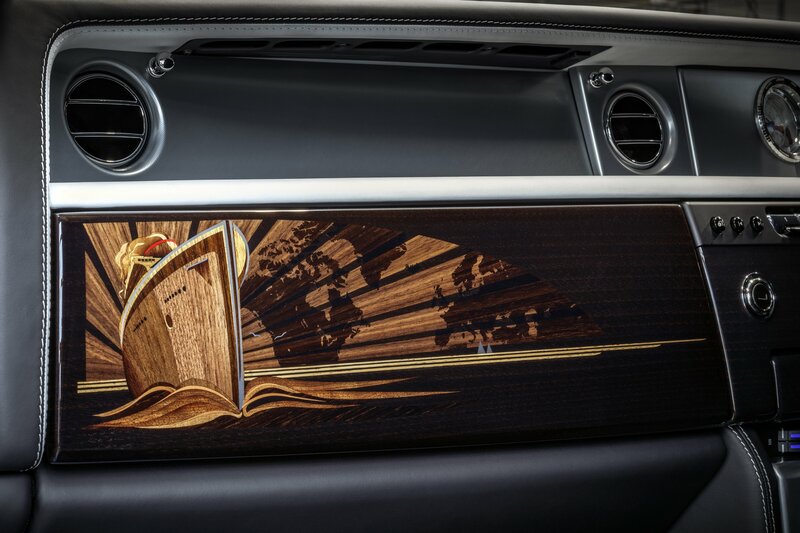 Even the hand-cut lambswool carpet features as nautical effect, fashioned by Rolls-Royce’s master craftspeople to depict the ocean’s waves. Finished in Blue Velvet, the exterior coachwork is pinstriped with a twin coachline and an ocean liner motif on the Phantom’s shoulder, while the opulent aesthetic is completed with whitewall tyres and a solid silver Spirit of Ecstasy. 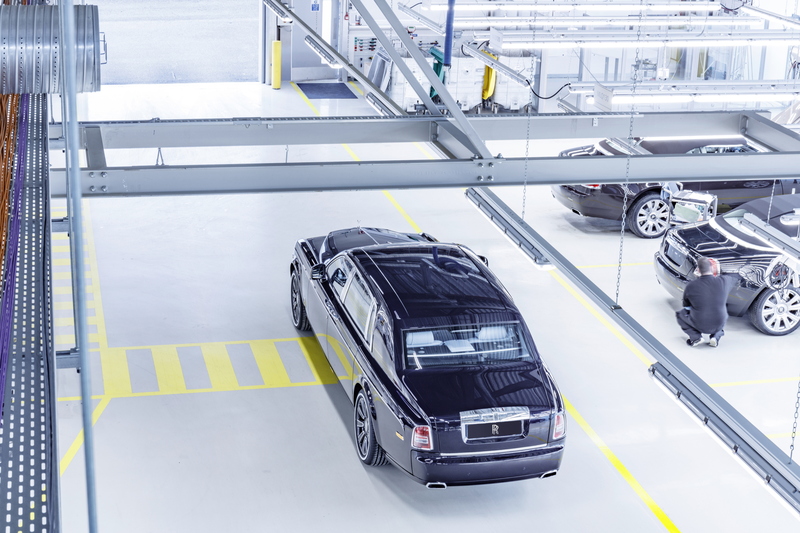 With the last Phantom VII now complete, Rolls-Royce is already gearing up for the Phantom VIII’s arrival (expected to be some time next year) by readying the production line for the new flagship model. In the meantime, we’ll just have to stare lovingly at what is possibly the best Phantom VII again.